There’s no doubt California has an abundance of must-see landmarks and activities throughout the state. The Central Coast however, is packed with hidden gems that you won’t find anywhere else. If you’re taking a trip up California’s famous Pacific Coast Highway, read this first for some additional stops to add to your itinerary! Go wine tasting in the Lompoc Wine Ghetto. Did you know that right in the heart of the city of Lompoc there’s a wine tasting mecca? Nearly 20 tasting rooms (and counting) reside in the “Lompoc Wine Ghetto” with some of the most delicious wine California has to offer. The area is known for Pinot Noir and Chardonnay, so stop in and let the tasting commence! You’ll find the Wine Ghetto right off Highway 1 and 12th street in Lompoc, California. Catch a rocket launch from Vandenberg Air Force Base. I think we can all agree that rocket launches are pretty rad. Sometimes you can even get lucky and view one in the distance. Time your visit just right and you can get a front row seat along Vandenberg Air Force Base — there are so many great places to view the rocket launches just miles from the launch site! Check out the 30th Space Wing (Vandenberg Air Force Base, Calif.) Facebook page to get the latest updates on their launch schedule. Jump out of an airplane at Skydive Santa Barbara. One of the most unique things you can do on the Central Coast is to stop in to Skydive Santa Barbara and jump out of an airplane! 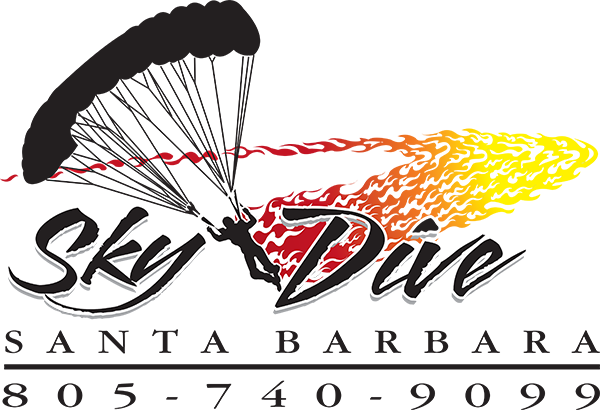 Skydive Santa Barbara offers 18,000 ft jumps, the highest tandem skydive in Southern California. Located right on Highway 1, you can view the Channel Islands, rolling hills and vineyards, Oceano Dunes and 180-degree ocean views from your jump – a truly unique and exhilarating way to see the Pacific Coast! Book your tandem jump here. Relax in solitude or go camping at Jalama Beach. 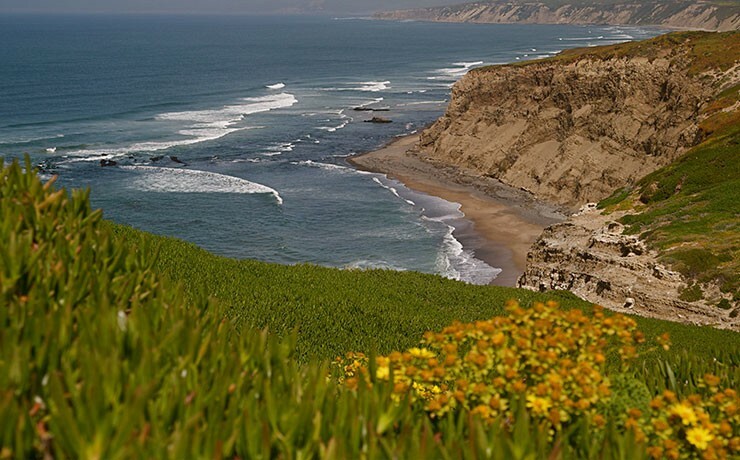 Jalama Beach features steep cliffs, great surf and a campground. Go surfing, whale or birdwatching, and visit the Jalama Beach Store and Grill to grab their “World Famous Jalama Burger”. Dogs are welcome, and typically you can walk 5 to 10 minutes and feel like you’re on your own private beach (unlike the crowds of many SoCal beaches). Camping reservations can be made to include tent sites, hookups, cabins, and group areas. Walk a short trail to see 100-foot waterfall, Nojoqui Falls. From Gaviota, a few miles Northeast of the PCH down the 101 highway, hides a waterfall that seems like it would be in the mountains of the Sierras. This seasonal waterfall is 100 feet high and located at the end of a short trail south of the parking lot. Visit after a heavy rain for optimal viewing. The park is free to the public and dogs are allowed on a leash. Take a dip in the Gaviota Hot Springs. Just north of Santa Barbara is a hidden natural hot spring within Gaviota State Park. There are quite a few trails surrounding if you want to do a bit of hiking, but if you just go to the hot spring it’s about 1 mile round trip. The temperature usually fluctuates between 90 and 100 degree range depending on the season. Get a taste of Denmark in Solvang, California. Take a short detour off Highway 1 and you’ll find the unique town of Solvang, California. The historic Danish village is famous for its world-famous European architecture and rich cultural heritage, among other things. Magnificent aromas from fresh baked goods fill the air and wineries and internationally inspired food are abundant. Visit the original “Big Bird” at Ostrichland USA. Not far from Solvang on your way back to the Pacific Coast Highway, you’ll find a unique farm that will without a doubt take you by surprise. If you’ve never been up close and personal with an ostrich, here is an opportunity. At Ostrichland USA, you can feed ostriches and emus – a rare opportunity to see how large these birds really are! Fresh ostrich eggs are available for purchase nearly year-round.  Don’t forget to stop by Skydive Santa Barbara on your road trip up Highway 1! Secure your spot and book your jump today Have questions? Call us anytime at 805.740.9099 or email jump@skydivesantabarbara.com.